I want to do a quick recap of just two of the trades I made this week, because although the catalysts were different, the chart patterns were similar and I believe there’s a good lesson to be had here. The tickers I traded were $CRMD and $MBI. I profited on $CRMD on Monday but lost on $MBI on Tuesday. Both charts are what a lot of traders would call a long-winded downtrend. On $CRMD, I shorted at $3.74 and covered at $3.64, and On $MBI, I shorted at $5.00 and covered at $5.21. So what’s the lesson here? 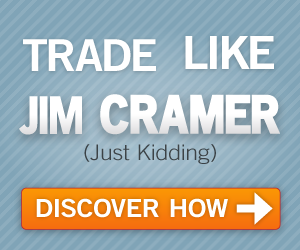 Was $CRMD a bad trade as well even though I made money? Some would say yes, which brings us to the magic question – Is it better to short early on in the trend, or wait until the trend has already developed? With the caveat being that if you short early, you don’t know what pattern will develop and if it’ll in fact be a long-winded downtrend as did play out in both of these examples. Specific to $MBI, I believe I could have limited my risk by not shorting a magnet number and shorting a bounce instead. It’s hard to tell from these intraday charts, but my $CRMD short caught a failed bounce which helped limit my risk on the trade. One of the main things I took away from this week was that it’s never a good idea to chase, as I technically did twice. Which brings me to my next question, where in $MBI’s intraday chart would have been a good place to short during that morning trend? It’s actually a trick question, because the right answer is probably nowhere. If anywhere, the longer green candle at $5.28 would have been low-risk area but the upside for shorts was still low before the squeeze triggered off the $5.00 level. If neither of these chart patterns are ideal, what technical indicators should you use to go short? Reviewing $CRMD and $MBI, I broke a couple key rules. These are all rules that I know and have reviewed countless times, but actually putting them into practice when you’re in the moment and trying to make fast trading decisions is something entirely different that I’m still working to get better at. For now, I’ll equate my $MBI loss to my market tuition payment.